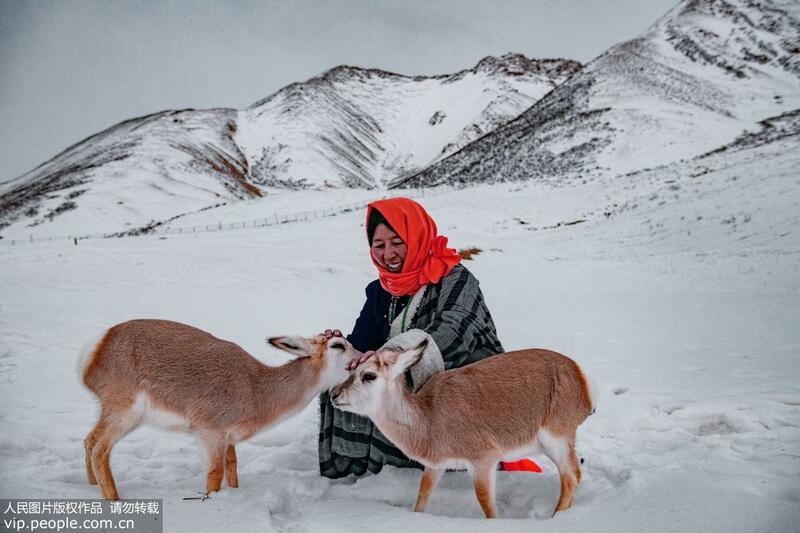 A Tibetan man, Robow, together with his wife and daughter, has been saving wild animals on a plateau 4,000 meters above sea level in China’s Qinghai province since 2010. 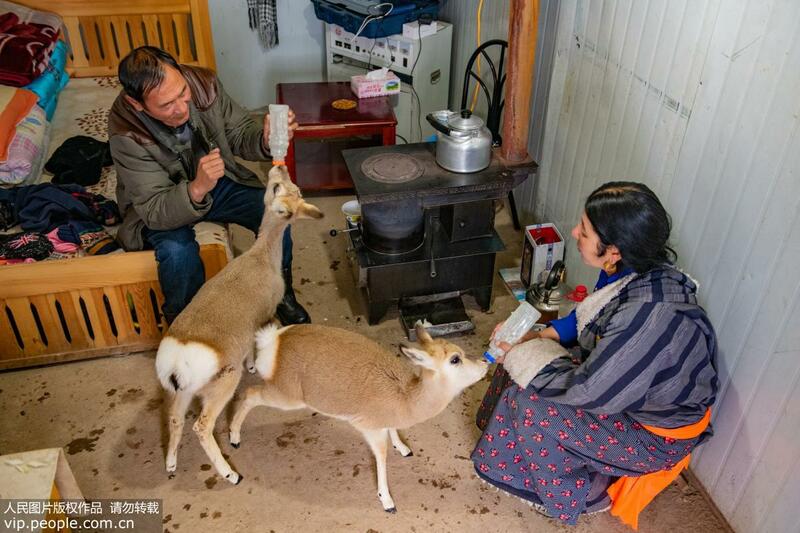 First arriving in Haixi Mongolian-Tibetan Autonomous Prefecture nine years ago, this family have dedicated everything to wildlife protection, despite the plateau’s harsh living conditions. 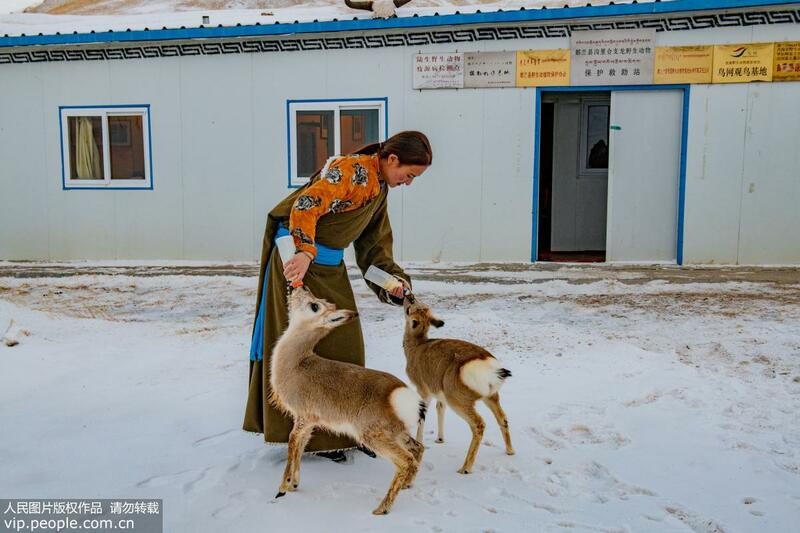 The Tibetan man was a village cadre before he moved his family to the plateau, and quit his job to save wild animals. 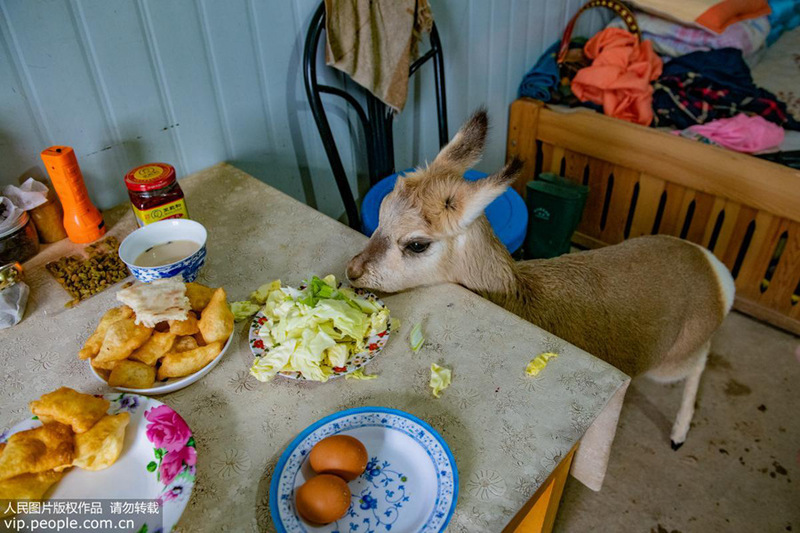 The family sold over 100 sheep and 40 cows between 2015 and 2016, and raised more than 700,000 yuan to keep the animal shelter running. The family have saved 18 wild animals so far, including black-tailed gazelles, red deer, white-lipped deer, Bharal sheep and Tibetan gazelles. The family treats the animals in the shelter like their own children, and they are released back into the wild as soon as they have recovered.